Manchester United striker Romelu Lukaku has sent an exciting message to the club’s fans regarding his development. The Belgium international is enjoying a superb World Cup and he puts much of his improvement down to working under coach Thierry Henry. The Arsenal legend is regarded as one of the finest players of his generation and it seems he’s passing a lot of that wisdom to Lukaku through his coaching work. 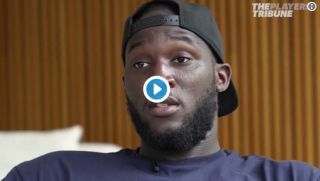 United fans should watch the video below and see how Lukaku has heaped praise onto the Frenchman as he prepares for tonight’s World Cup semi-final.